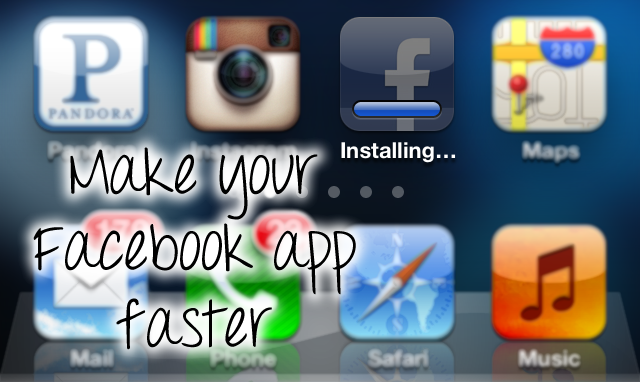 I’ve been noticing my Facebook app has been extremely slow on my iPhone. This isn’t really a secret, but it’s important to always keep your apps and software up to date. Luckily Facebook issued a massive update to its iOS app, with app version 5.0 that is supposed to increase iPhone app speed tremendously. They say that the update will make it faster and easier to use. I started to download it and right away noticed a few positives that seem to work better and faster. The app loaded a bit slow when I re-opened it but I’m sure it was just a cache reload. That’s it for now. I’ll have to explore more to see what they improved, but it’s already a lot better.